Taking in a new city is all the more fun - and eco friendly - on wheels. We took to the saddle and biked around Lisbon. It’s impossible not to be totally in awe of Lisbon. With its terracotta roofs, pastel coloured walls and Atlantic Ocean view, it’s one of the most picturesque cities in Europe. Luckily for the eco- conscious traveller, it’s also an excellent place to explore on wheels. With cycling lanes galore and the implementation of Gira - the city’s own version of Boris Bikes - it’s easier than ever to get around. 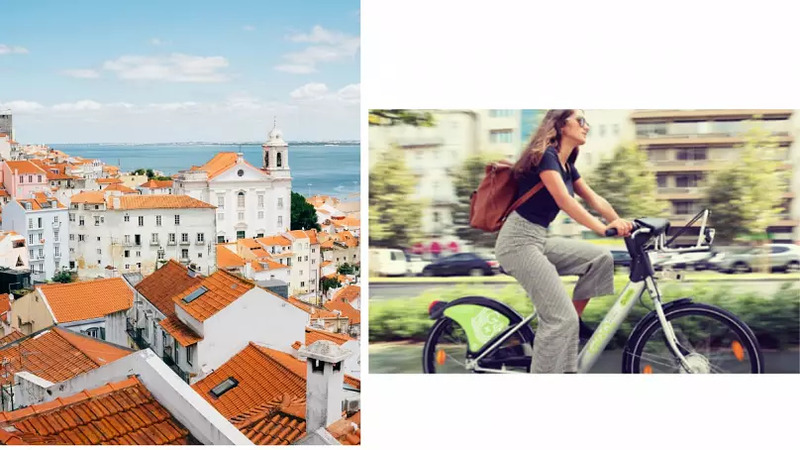 If you’re looking to rent something a little more serious, there are several options in the city centre, including Lisbon Bike Rentals and bikeberia, offering a range of mountain and road bikes for adults and children. If you’d rather take a tour than map out your own route, there are plenty running through the centre that’ll have you spinning from site to site. Most of these are electric bikes, thanks to the centre’s steep gradient. 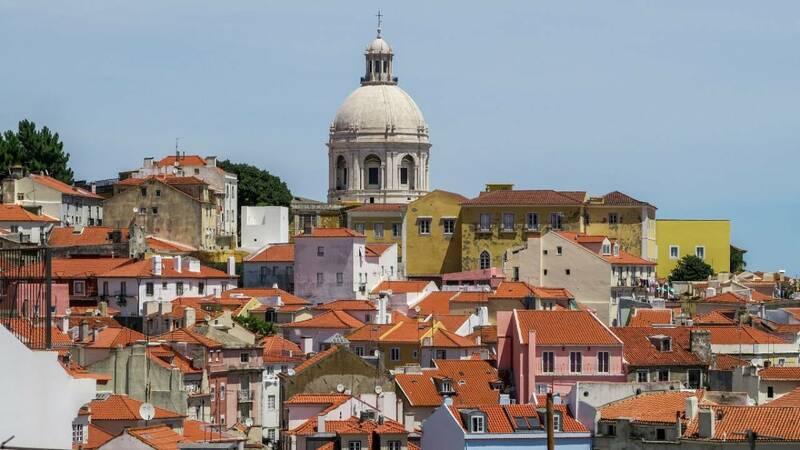 If you’re interested in the heritage, Historic Lisbon will showcase the highlights of Lisboa’s architecture and history with anecdotes and facts from the tour’s expert guides. Taking in everything from famous landmarks to hidden treasures, it’ll give you a thorough direction of Lisbon in just a few hours. If you get more excited by the restaurants and cafes of a new city, you might prefer the Lisbon Flavours tour, which will give you a whistle stop tour of the city and take in four gastronomic pit stops along the way. If you prefer to do your own thing, the best route to take in an as many of Lisbon’s sites as possible runs along the Tangus River. Starting in the centre, a new cycling path runs alongside the city for over 20 kilometres, finishing up in Cascais - a beautiful beach town just outside Lisbon. En route, you’ll take in several of the city’s most beautiful builds whilst also getting a fresh breeze off the river - ideal when you’re working up a sweat on your wheels. Get in a shot of caffeine at Copenhagen Coffee Lab - a Scandi-inspired coffee haven just a kilometre from the river - before making your way to Terreiro do Paco Plaza to start. It’s best to get going early, before the heat becomes too intense. 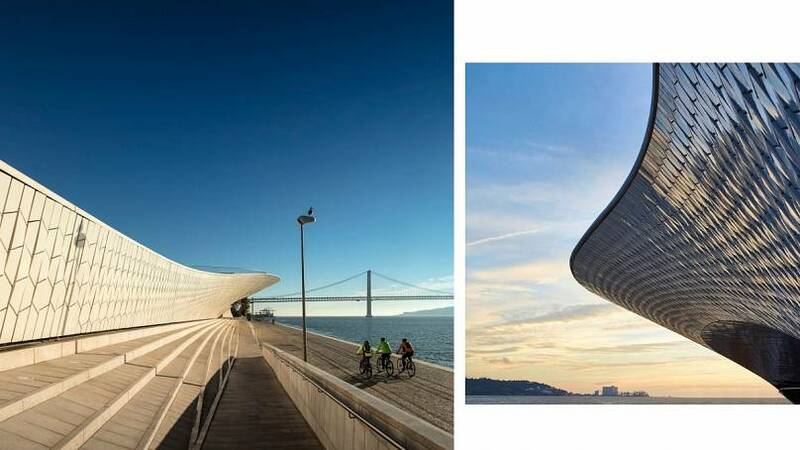 Once you’ve made it to the cycle track, you’ll set off with an uninterrupted view across the expansive river and its neighbouring terracotta-roof habitaçãos. Around 5 kilometers in, you’ll reach the brand new MAAT - the Museum of Art, Architecture and Technology - a vision of modern architecture that looks more like a manta ray than a building. With a constantly rolling list of exhibitions, it’s the best place in Lisbon to get a snapshot of contemporary artistry. It’s cafe sells excellent cakes, so it’s also a great place to incorporate a pitstop. Another couple of kilometres further on, you’ll see the famous Belem Tower looming over the horizon. Built between 1514 and 1520, it originally served as a military base - a protective barrier between Lisbon and possible enemies trying to reach Portugal’s waters from the Atlantic Ocean. After a few quick photos here, you’ll want to keep going until you reach Carcavelos beach (around 11 kilometers away) over which the Praia da Torre fortress presides. With its white sand and clear blue water, it offers tired cyclists the perfect opportunity to cool off. From there, another 9 kilometers will find you at pretty Cascais - a fishing town known for its classic architecture and romantic atmosphere. Reward yourself with a lunch at 5 Sentidos Casa do Largo, which serves up fresh, traditional Portuguese dishes. Translated into English, the name means ‘five senses,’ so prepare yourself for complex flavours, interesting textures and mouth-watering aromas. The hot goat’s cheese appetiser is an absolute must, followed by steak with an Oporto wine reduction. There are plenty of fish dishes, too, should you wish to sample something fresh from the Atlantic. From here, you can spend the afternoon wandering around the town, strolling along the beach and exploring the idyllic little lighthouse before heading back to Lisbon. When you’re ready to rest, Inspira Santa Marta Hotel offers the perfect place to lay your weary head. A boutique hotel committed to sustainable practices, it offers sophisticated accommodation in the centre of town alongside The Retreat - a spa offering an extensive list of holistic treatments. Book into one of the suites to enjoy your own private jacuzzi. When hunger calls, head for dinner and drinks at Prado on Travessa das Pedras Negras, which celebrates the best of Portugal’s cuisine in the form of seasonal, fresh dishes. They also only serve organic, biodynamic and natural wines, so you can continue receding your carbon footprint even whilst you dine.